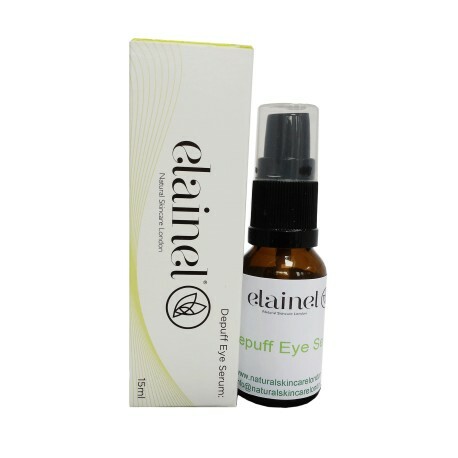 Eye Serum helps with puffy eye. With soothing aloe vera, cooling cucumber extract and eye bright help to reduce the dark circle under the eye. With arnica helps to depuff the eye. The eye serum enriched with argan oil and evening primrose oil for healthy skin around the eye. 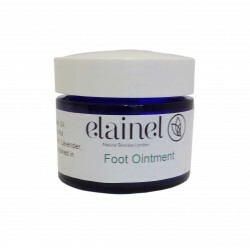 Panax ginseng and neroli: improve skin texture. Q10: important for healthy cell. Apply on clean eye area in the morning and evening. 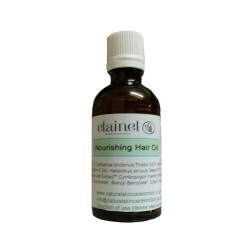 Rosa damascena flower water**, Aloe barbadensis leaf extract**, Anthemis nobilis flower water**, Aqua, Argania spinosa (Argan) kernel oil, Oenothera biennis (Evening Primrose) oil, Glycerin**, Alcohol, Tocopherol, Hippophae rhamnoides (Sea Buckthorn) fruit extract**, Helianthus annuus seed oil, Benzyl alcohol, Amorphophallus konjac root powder, Squalane, Niacinamide (Vitamin B3), Acanthopanax senticosus root extract, C12-15 Alkyl benzoate, Aniba rosaeodora wood oil, Cucumis sativus (Cucumber) fruit extract**, Sodium benzoate, Potassium sorbate, Salicylic acid, Hydrolyzed lupine protein, Propylene glycol, Citrus aurantium flower oil, Nardostachys jatamansi oil**, Allantoin, Sodium PCA, Sodium lactate, Citric acid, Arnica montana flower extract**, Panax ginseng root extract**, Urea, Hydrolyzed soy protein, Oleth-20, Canarium commune gum oil, Sorbic acid, Phenoxyethanol, Ubiquinone (Q10), Sodium phosphate, Sodium hyaluronate, Euphrasia officinalis extract**, Dimethylmethoxy chromanol, Sorbitol, Asparagus officinalis root extract, Ethylhexylglycerin, Rosmarinus officinalis leaf extract**, Benzyl Alcohol*, d-Limonene*, Linalol*, Geraniol*, Farnesol*.